materials will remain outside permantly as before. Due to the "drive through" design and poor soils at the Eastern end of the building, vehicles will be forced to turn around in the meadow 300' to the east. vehicles, tools and equipment. Unfortunately, the architect does not like garage doors for aesthetic reasons and is forcing his design on the workers and the people who object to the excessive size. 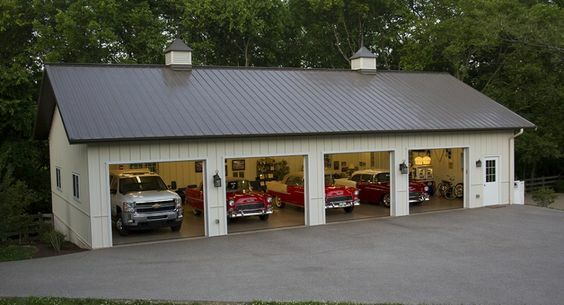 Side access garages allow easy access to vehicles and equipment. A narrow garage like this will not block the walking path.